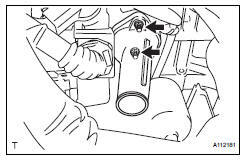 Remove the 2 nuts and disconnect the water inlet from the cylinder block. 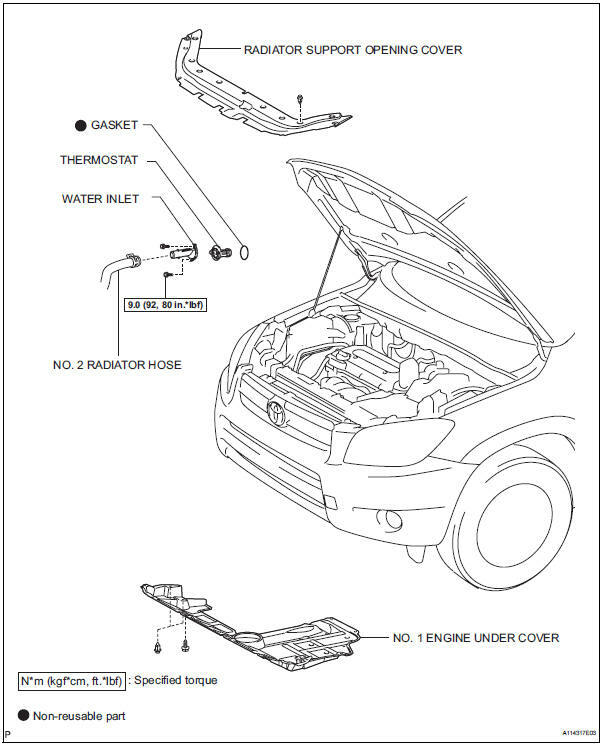 Remove the gasket from the thermostat. 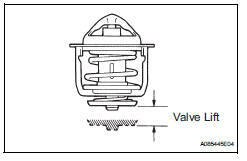 The valve opening temperature is inscribed on the thermostat. Immerse the thermostat in water, and then gradually heat the water. Check the valve opening temperature of the thermostat. 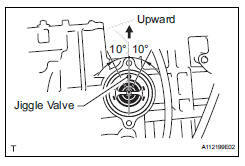 Check that the valve is fully closed when the thermostat is at low temperatures (below 77°c (171°f). If it is not fully closed, replace the thermostat. Install a new gasket onto the thermostat. Install the water inlet with the 2 nuts.